What is your favorite Mountain? 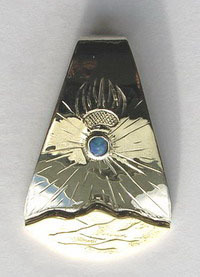 Mountain Pendants are possible in Gold, silver, platinum and a variety of gems. 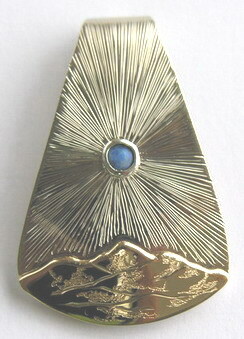 Most are Customer requested designs which include such iconic mountains. Those include Pikes Peak, Mt Cheam, Mnt Baker, Mnt Rainier, Tahquitz Peak, Santa Cruz Peru, and Medicine Mountain in Wyomin. Also, Mt Katahdin in Maine, the Sierra Nevada’s ,Waterton Lakes in British Columbia. Banff and Jasper mountains such as , Edith Cavell, Mt Whistler and Many more have been requested. Some include Eagles or favorite animals, from their animal totems. 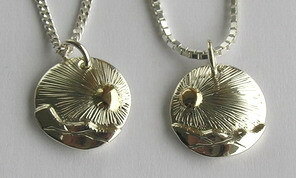 As well as Sun, Moon and stars in a variety of golds. A multitude of gems, precious and semi-precious, are possible for a bit of sparkle and focus. Diamonds are the most common. Imagination is the key. I have had a large variety of requests for designs that reflect ‘ the place they met ‘, or ‘ where he proposed’ or just their favorite hiking spot. 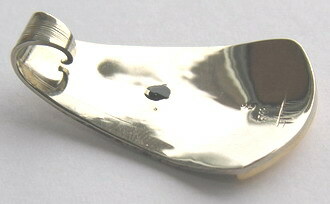 Every pendant ( and ring or bracelet ) then becomes a very unique and special item for them. I have to say that wedding rings with their favorite mountain are very popular and since they are completely custom, they are a very unique way to celebrate a very unique occasion. 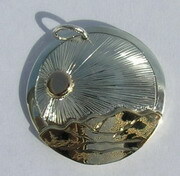 Mountain Pendant costs vary depending on the amount of work and materials etc…. It’s too hard to have a standard cost structure so email me for prices….but… here are the prices for ‘regular’ pendants to give you a rough idea.